We are really saddened and sorry but we have had to cancel. We will however be hosting a ‘club ride’ on Sunday. This ride will be open to all entrants and is free of charge. We will not provide any refreshments or back up, and each rider will need to be self sufficient. We will stop at Bolton Abbey for Coffee, Tea and Cake if riders wish. We will follow the same route as the Sportive, but will only be one loop. The ride will begin at Yeadon Tarn, near the BMX track. This is a seperate area to the sailing centre. We will ensure we ride at the pace of the slowest rider and if required will split into two groups. We ask that you respect the ethos of this as a social ride. Please note that this is not supported. We will meet at 10:00am for a 10:15 leave. Rotherham Sportive – a real success! On sunday we hosted the first ever Rotherham Sportive and although the turn out was small it was an excellent event with everyone enjoying theirselves. The weather was fantastic and so was the atmosphere as riders took in South Yorkshire and Nottinghamshire on a fantastic route. The route was a figure of eight taking in some country roads, through the towns of Tickhill and Blyth before heading back into Rotherham. Riders were full of praise for our organisers, which was gratefully received. Discussions will take place with the Hospice around the event returning again next year. All photos are in our Gallery. 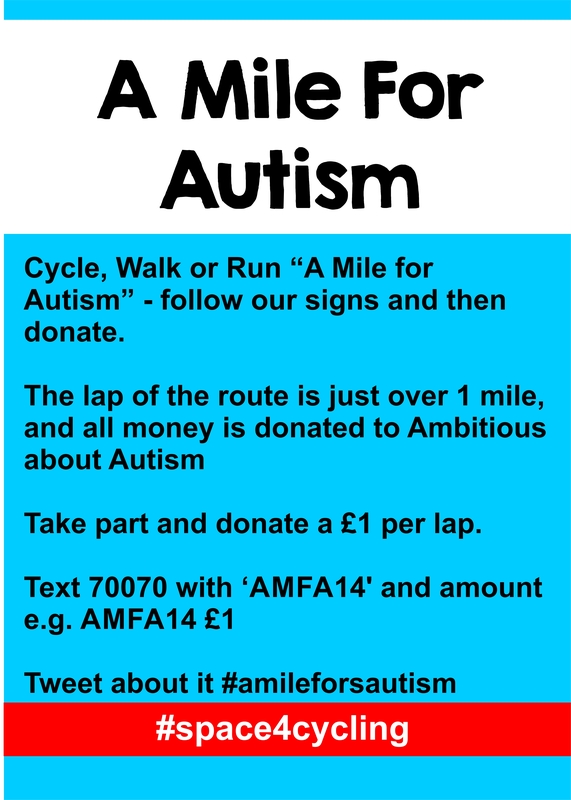 Ride a mile for autism next week and donate to a worthy cause. You can view full details of our week long event, have a look and hopefully join us in riding the Otley Town Centre Crit Circuit and donate. For a while we have been promoting the Scarborough Cycling Festival, and our Sportive as part of this. Well we have the event fully online and ready to go!! We have published a first draft of our Rotherham Hospice Sportive long route. The route totals 65 miles and takes riders to the east of Rotherham, taking in smaller roads. Starting with rolling terrain, moving onto a flat stage in the middle and finishing with a rewarding long climb. What are you doing for the TdF? We have been asked by the wonderful Otley Bridge UR Church to tell you about their TdF plans… and to us they sound pretty great!! So with the tour coming through Otley the church committee have put on tea, coffee and cake…. and a big screen. They open at 8 am and welcome everyone through the door! We will be putting a whats going on in Otley for the TdF soon…but in the meantime. Here it is… what our event summarises into 3 minutes. Why not have a browse and see what you think. 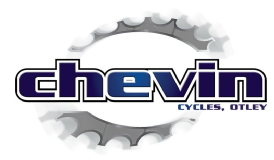 Chevin Cycles open their new Harrogate store on Friday at 12:00 noon. The store on Ripon Road, Harrogate will showcase premium brands including Trek, Bianchi, Pearl Izumi and Bontrager to name a few. We are bringing our style of events to Rotherham on the 20th July. We are organising two routes: a family fun day 15 mile route and a 70 mile (approx) ride out and around South Yorkshire. This event is fundraising for the fantastic work of Rotherham Hospice. So you can feel great that you are doing your bit for a local cause whilst enjoying yourself on our ride. The event will have feedstops and mechanics to help the ride, and will be fully signed. A challenge for most, but a perfect opportunity to ride with like minded cyclists and have some fun. 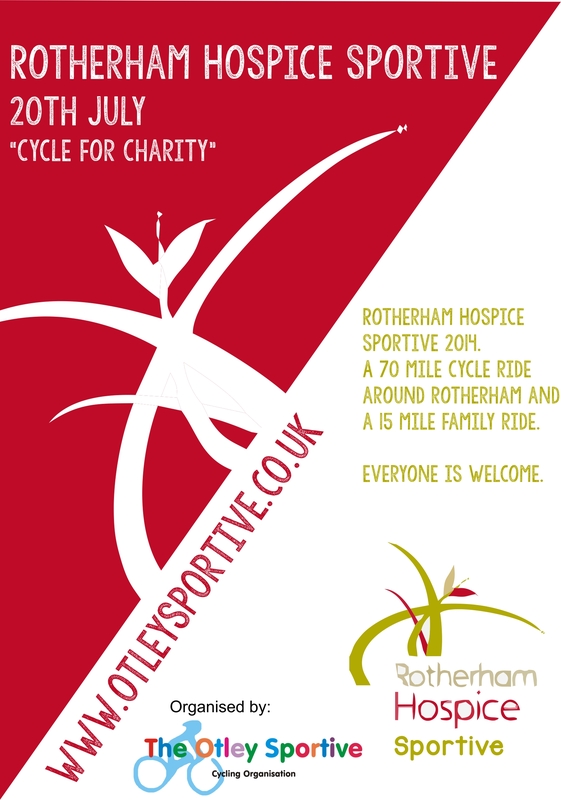 20th July 2014: Rotherham Hospice Sportive.